Cabrillo Beach and Long Beach yacht clubs are among the hosts chosen for next year’s calendar. ANNAPOLIS, Maryland — The 2018 international schedule of the Farr 40 Sailing Class will officially kick off in Southern California as Cabrillo Beach Yacht Club in San Pedro and nearby Long Beach Yacht Club were selected to host spring racing events next year. Cabrillo Beach YC will jump start the 2018 international schedule with a March 21-24 event in San Pedro, followed by the North American Championship at Long Beach YC, May 9-12. The international schedule moves to Chicago during the summer, with the Chicago Yacht Club Verve Cup held Aug. 9-12. 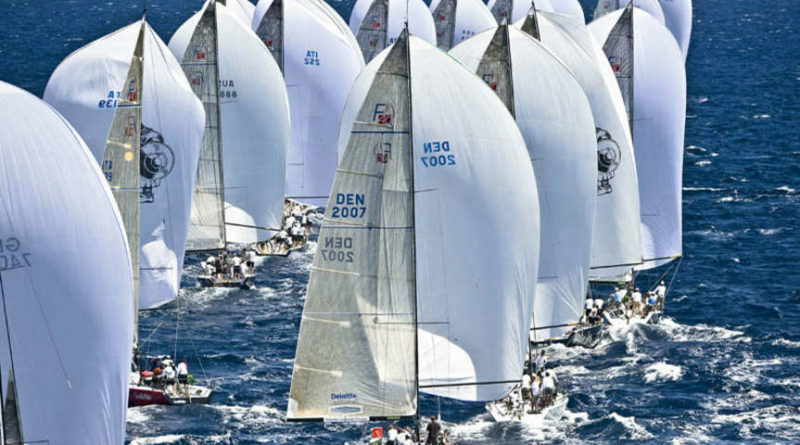 The Farr 40 World Championship, also hosted by Chicago YC, would be held Oct. 3-9. The announcement of the 2018 international schedule coincided with the completion of this year’s Farr 40 North Americans, which concluded in Chicago, Oct. 6. Helmut Jahn and his team, Flash Gordon 6, won the 2017 North American championship; it was the third straight North American win and fourth overall for Jahn. Jahn’s team finished first or second in all 10 races, it was announced; Flash Gordon 6 placed third in the Farr 40 Worlds, held at Porto Cervo, Italy in mid-July. Organizers also announced the 2018 Great Lakes slate and remainder of the 2017-2018 Australian schedule. The Farr 40 West Coast Regatta was held Aug. 19-20 at Cabrillo YC. Farr 40s will also be racing in the upcoming Campbell Cup, taking place Oct. 21-22 at Long Beach YC. Blade II, Cal Maritime, Temptress and White Knight were the Farr 40 boats already registered for the Campbell Cup (as of Oct. 9).